The institute’s fermentation services include the definition of the culture conditions of the microorganisms to be fermented, and the upscaling of the quantities produced. During optimisation process of fermentaion, cells are first grown at laboratory-size 5-liter glass or steel fermenters. 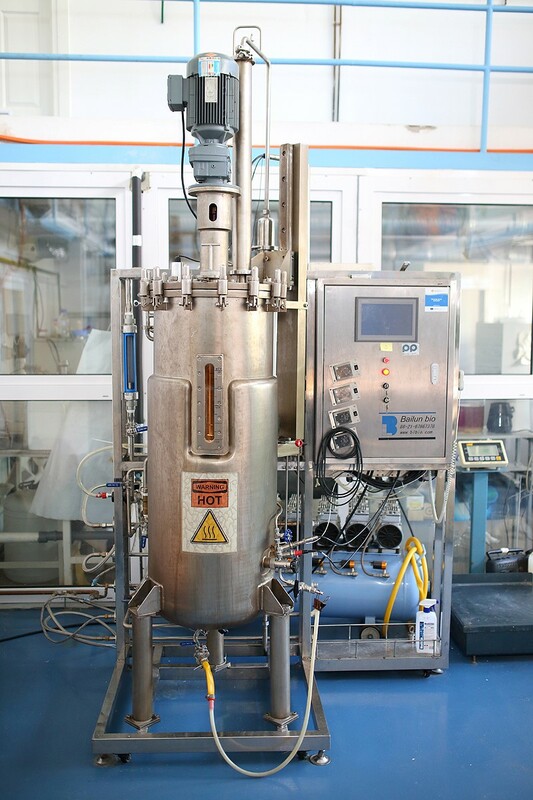 After successful setting up the main parameters, pilot scale fermentation takes place in a 150-liter steel bioreactor (all useful volume). The fermenter vessel and the instruments contained therein are made of stainless steel and glass and therefore are highly resistant to various chemical and physical effects. During the fermentation process, various parameters (temperature, pH, dissolved oxygen concentration, stirring, nutrition) can be automatically maintained or modified in wide ranges, thus optimizing the culture conditions of microorganisms. The fermenter can be sterilized in SIP mode with steam locally, in an automated manner. In addition to concrete developments, our experts are ready to provide support in the design and implementation of fermenter systems.